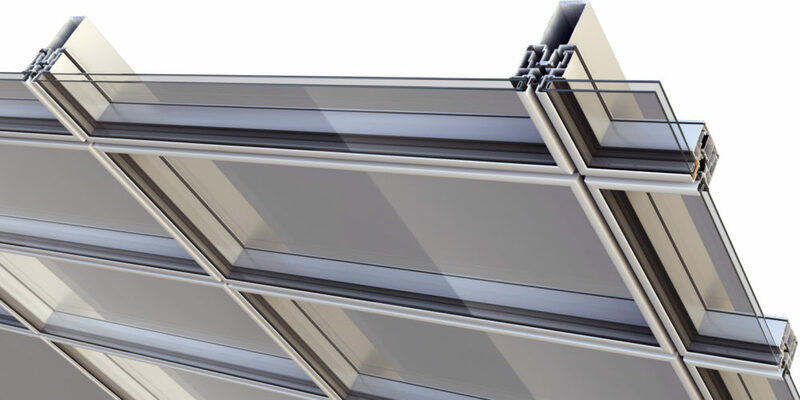 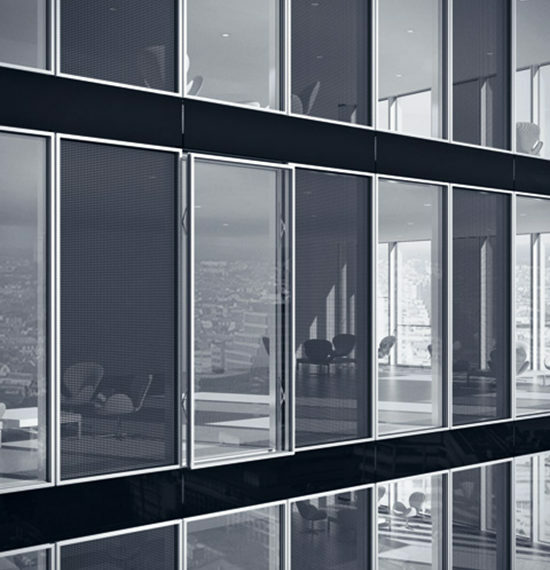 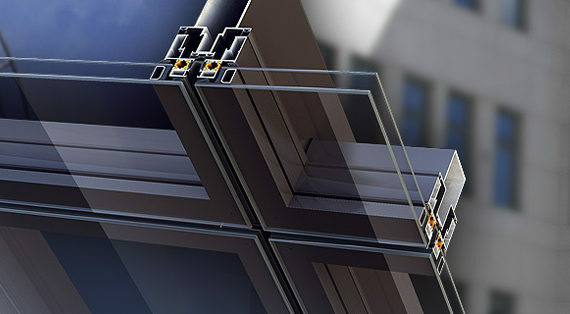 The system of continuous aluminium glazed facade is characterized by clearly pronounced horizontal and vertical profiles on the outside of the facade. 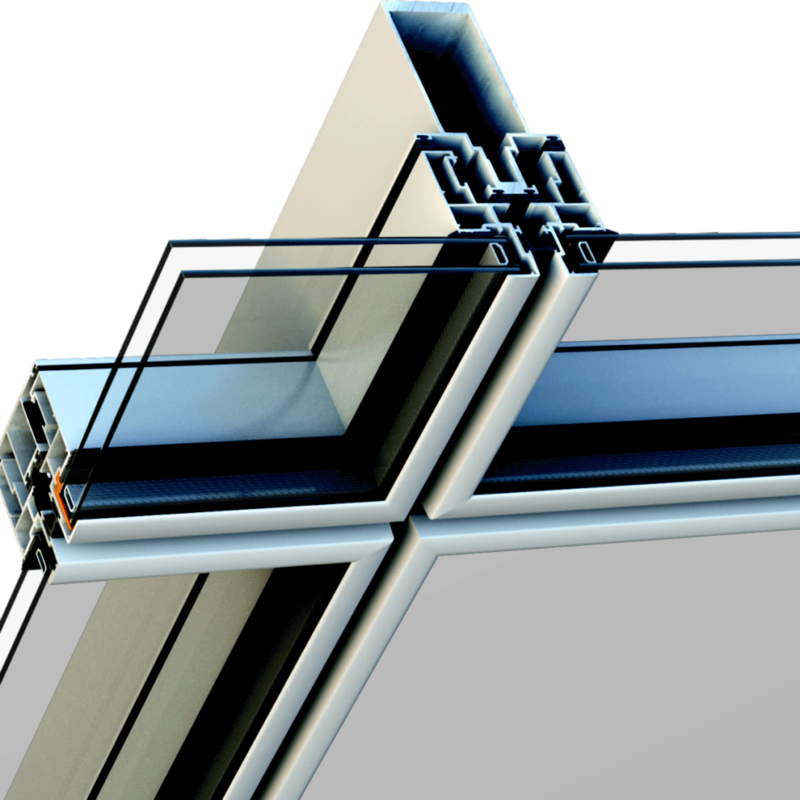 Visible profiles are like caps that may be of different shapes and designs, while glass fillings are fixed by means of understructures. 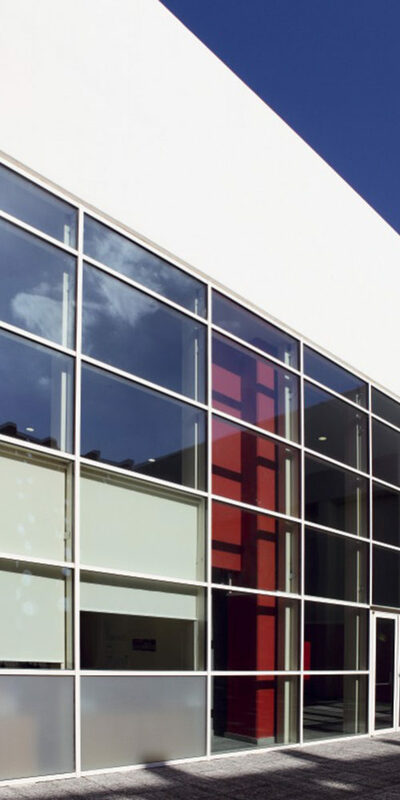 This façade system offers great possibilities of combining various cap profiles to achieve unique effects in the appearance of the finished building. 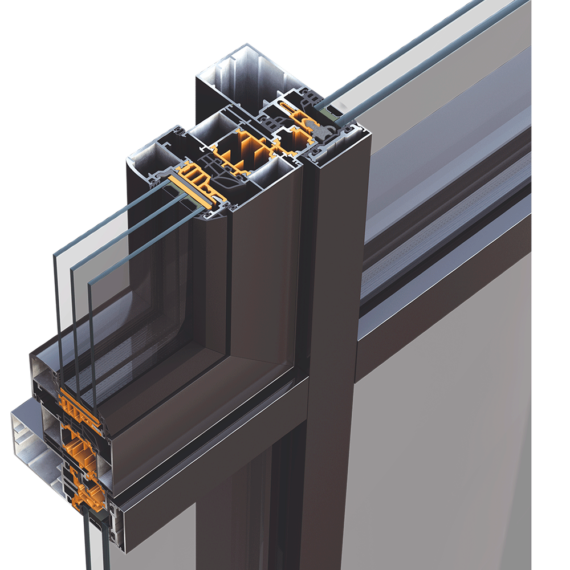 Continuous facade offers the option of using double and triple glazing thus achieving exceptionally good thermal performance that reaches an extraordinary UCW of 0.6W / m2K. 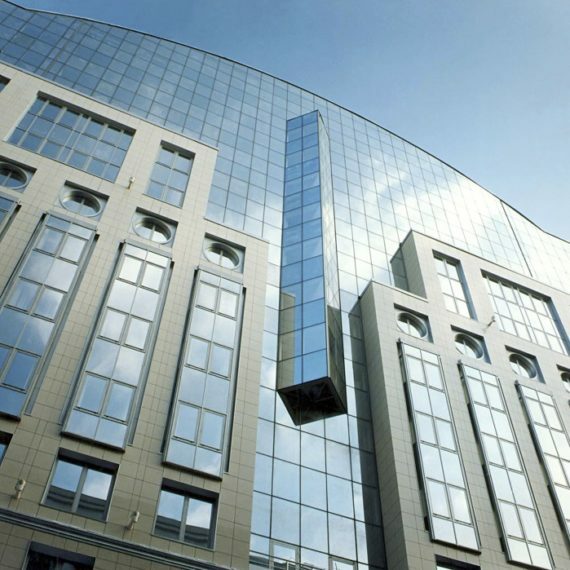 Benefits of these façades are good sealing properties, classic opening and simple maintenance. 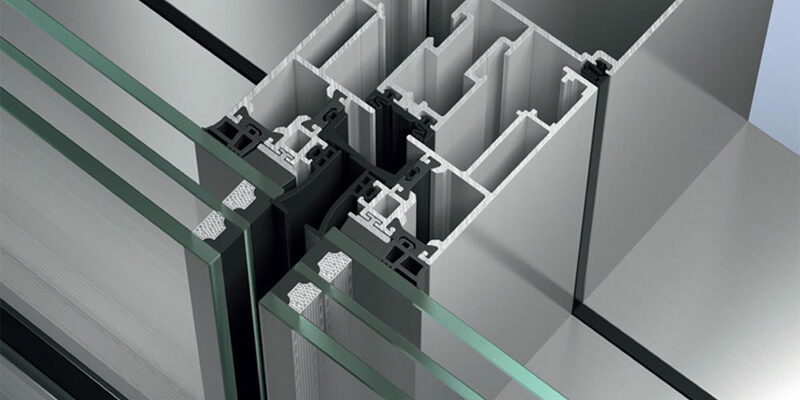 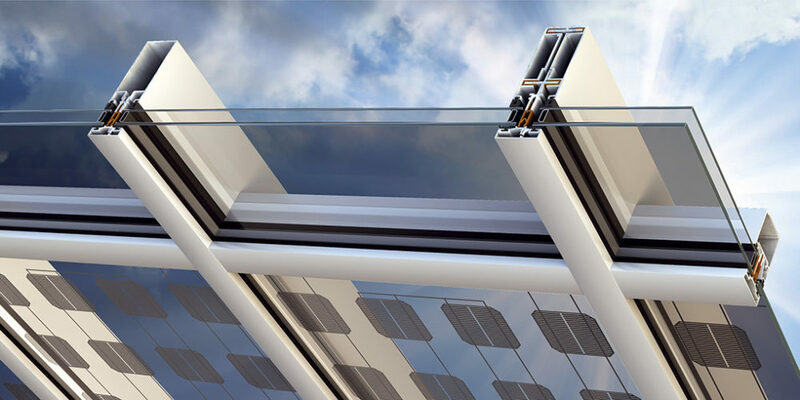 Thanks to new technologies and materials for joining of different materials, the joint between the aluminium and glass can be made in such a way that visible aluminium profiles are minimal. 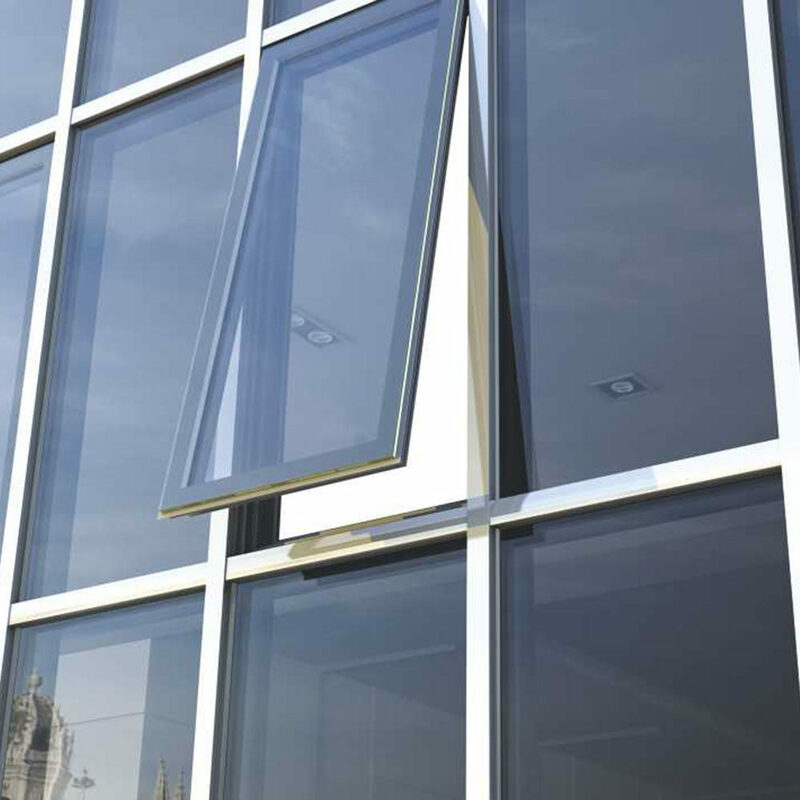 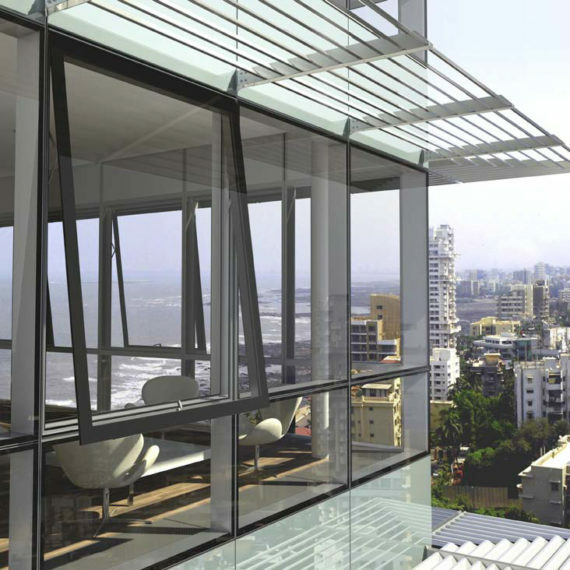 Semi-structural facade is characterized by minimal visible aluminium profiles, while the window is opened solely around the upper horizontal axis to the outside (of the building). 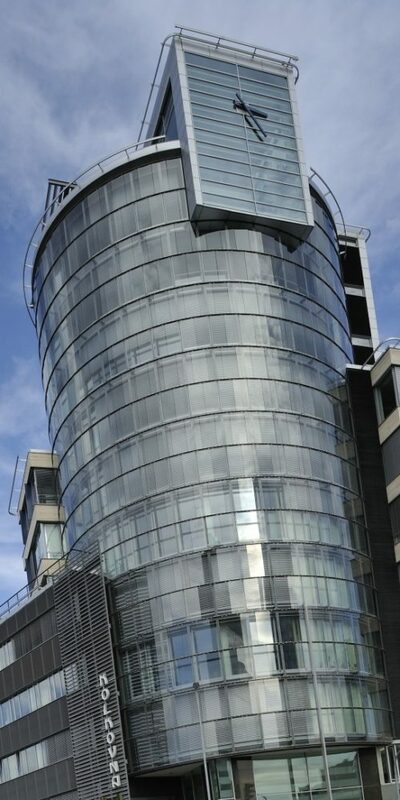 from the outside, while the aluminium structure is hidden on the inside. 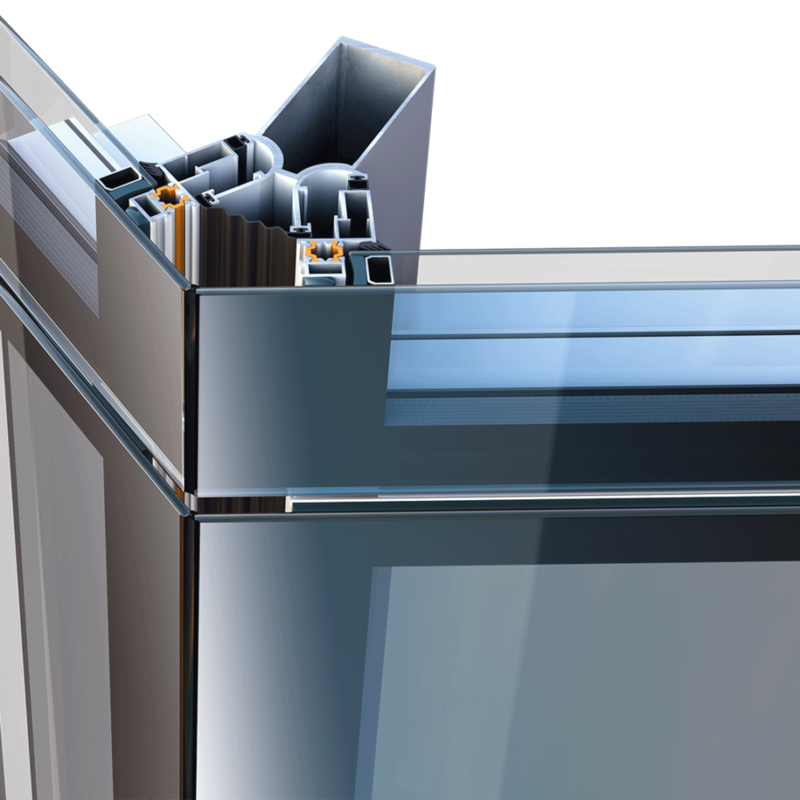 When designing the facade the architects tend to have as little of aluminium profiles and as much of glazed surfaces visible on the façade as possible. 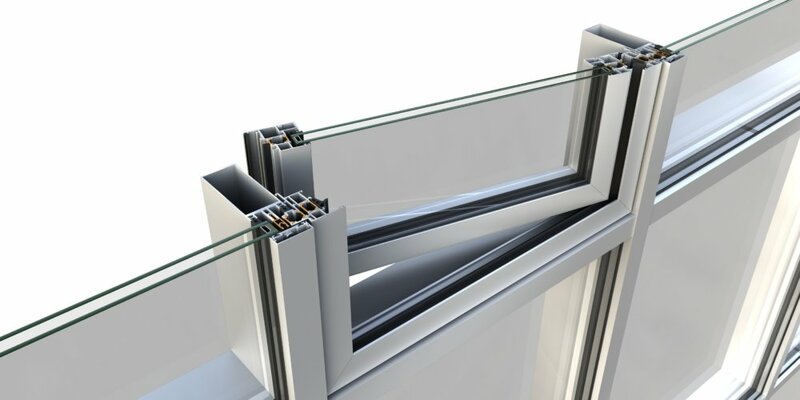 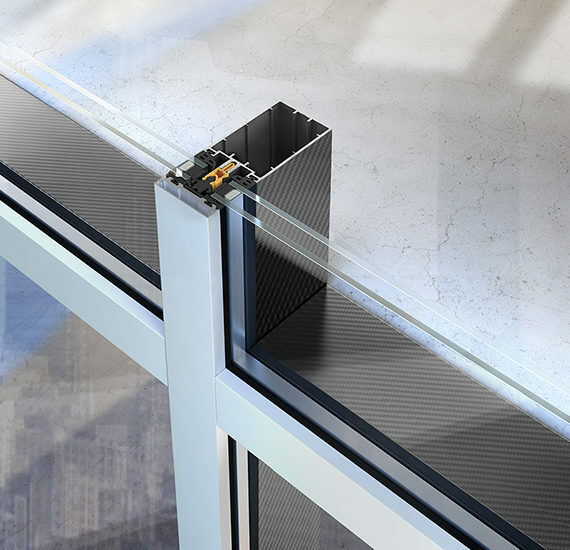 Because of this requirement the elements of the supporting structure are hidden behind the glass. 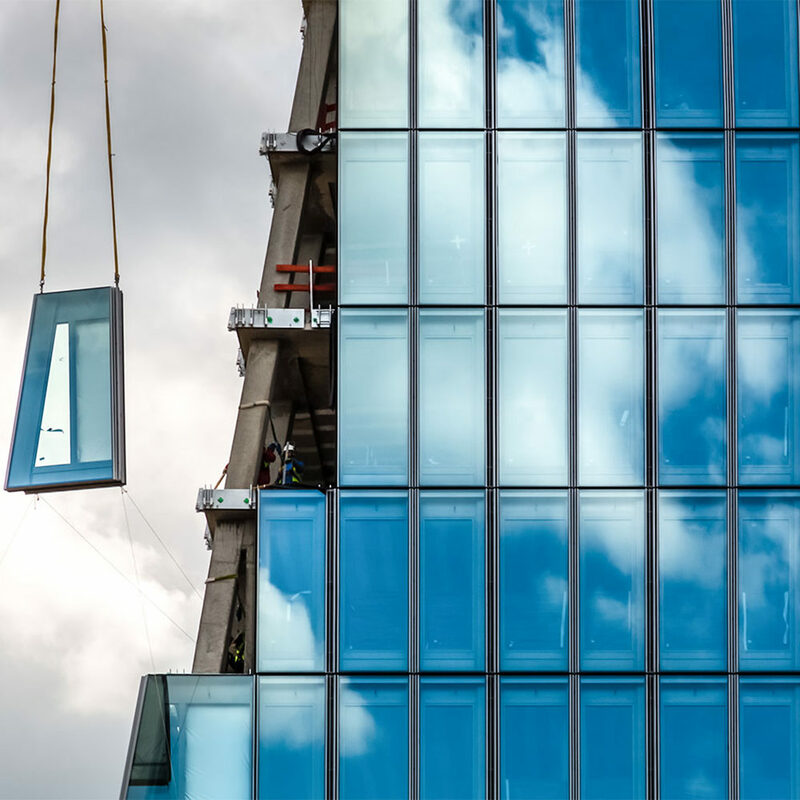 This is a method for making a vertical glazed facade, with a high degree of insulation, achieved by installation of precast segments composed of aluminium profiles filled with glass or other materials. 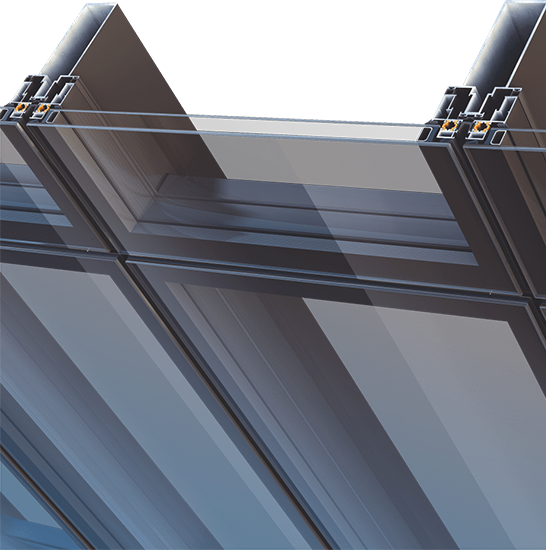 Modular façade system (facade element) is designed with the aim to enable the complete assembly of the production facility and is a great solution for structures where rapid execution of works and installation of facades are required. 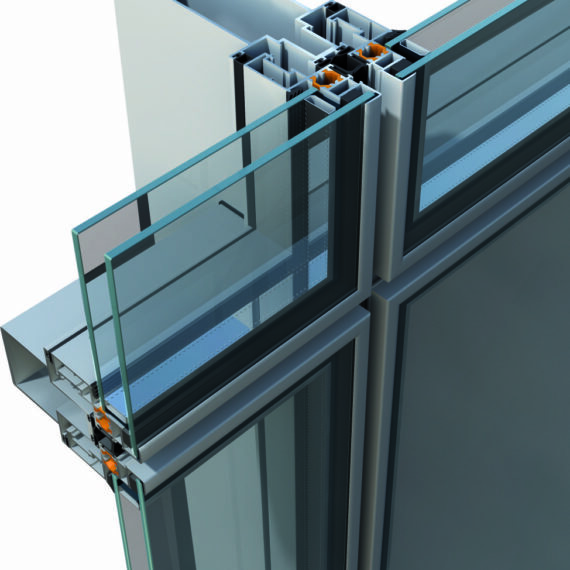 Easier planning of production and installation.